It’s all over, guys. Call the lawyers. Pack your bags. Run away with the nanny. Miss Piggy and Kermit the Frog have called it quits. “After careful thought, thoughtful consideration and considerable squabbling, we have made the difficult decision to terminate our romantic relationship,” they said in a joint statement released on Twitter. 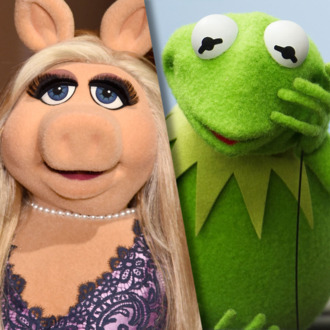 “Our personal lives are now distinct and separate and we will be seeing other people, pigs, frogs, et al.” Miss Piggy and Kermit join other celebrity couples that have consciously uncoupled: Bennifer, Shambert, and Rosstefani, to name a few. It’s the summer of no love. On the upside, you no longer have to imagine what their pig-frog brood would look like. Update: Our Joe Adalian reports that at the Television Critics Association press tour, Kermit announced that he was seeing another pig named Denise, who works in marketing at ABC. How will the children know what love is? !